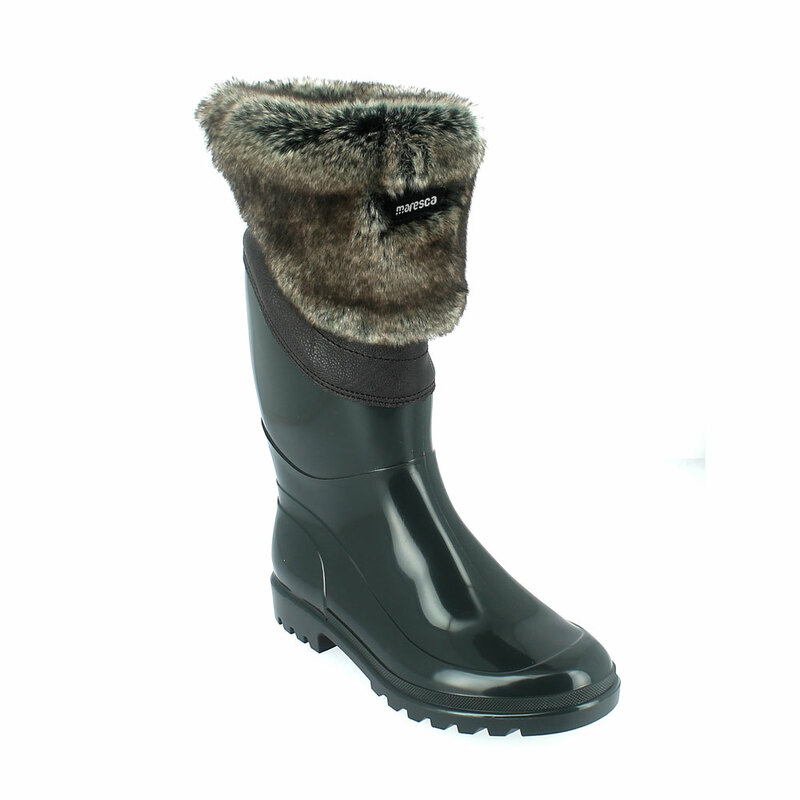 Bright finish Pvc Boot with synthetic lamb wool inner lining and contoured husky faux fur cuff. The bootleg, stitched on the pvc shell, is made from a soft ecoleather with sheepskin grain effect. A contoured cuff in shiny faux fur gives the boot a more dynamic look. A Maresca logo is applied on the bootleg by the new "3D lettering" technique to give to the boot a finer look. Made in Italy. Available Colour for orders: Grigio fumo Made in Italy. Size run: 35-41.